Give It Gas operates solely as an online business and does not have a shop/ showroom. Established in 2012, Give It Gas specialises in online sales of gas appliances. Our offices are based in Johannesburg and we use couriers to deliver orders countrywide. 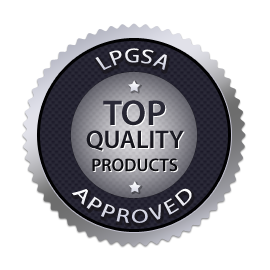 The appliances we sell are all approved by the LP Gas Association of South Africa and all carry warranties. We carry a lot of general and technical information on our website, however customers are always most welcome to contact us for additional information penny@giveitgas.co.za or (011) 646 9439. Orders can be placed on our website, or emailed directly to penny@giveitgas.co.za . We are not currently able to offer online payments on our website. If you fill in the order form on our website, a copy will be send to us. We will reply to you with stock availability , a delivery cost & any additional information you may need for the product. If you are happy to continue with the order, we will email you an invoice. Payment is by EFT or cash deposit into our account. Once payment reflects in our account, we will book our couriers to deliver your order. Deliveries are done by our couriers. Deliveries within Gauteng take place the following working day after your payment reflects in our account. Deliveries outside of Gauteng usually take 2-3 working days. Our couriers do not deliver on weekends or public holidays. PLEASE NOTE: We are not able to offer C.O.D deliveries & we cannot give an exact time of delivery.